We are amongst the leading manufacturers, suppliers & exporters of water treatment plants. In addition, we also undertake pre-post Water Treatment Consultancy, Designing, Fabrication and Servicing of Water Treatment Plants & Schemes. 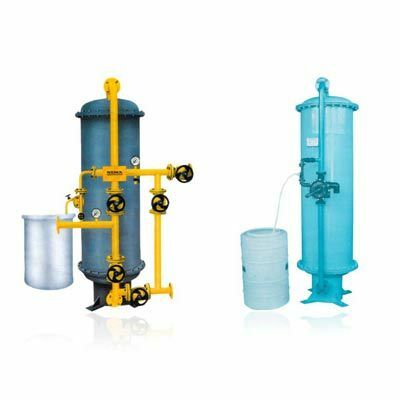 We are amongst the leading manufacturers, suppliers and exporters of water treatment, filtration and softening plants such as water treatment plants, R.O. plants, portable D.M. plant, industrial D.M.plant etc. These specialized systems are used for removing remove, colour, odour, Iron, Ammonia, Nitrate, Floride, and salinity from water. In addition, we also undertake pre-post water treatment consultancy, designing, fabrication and servicing of water treatment plants & schemes. Our products and services are widely used in government sector, public sector, industries, hotels, clubs, residential complexes, hospitals and laboratories across India, Bangladesh, Kenya, UAE, Uganda and Sri Lanka.